Modern poems by Nguyen Duy will be used in traditional music to be performed on October 24 in Hanoi. 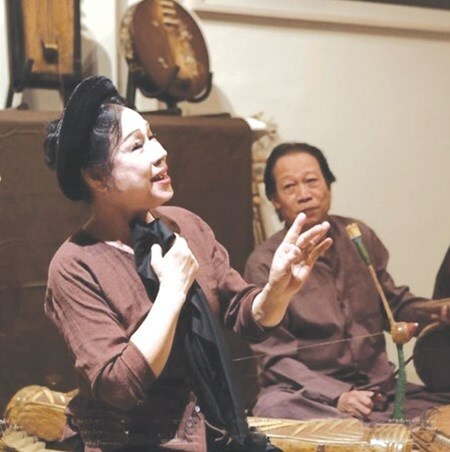 Traditional artists such as veteran Xuan Hoach, Thanh Hoai, Minh Gai and Thanh Ngoan will combine the poems with their performing arts. The artists will rearrange many traditional music genres such as cheo (traditional opera), hat van (ritual singing), ca tru (ceremonial singing), tuong (classical opera) and xam (ancient folk songs performed by blind beggars). Nguyen Duy is one of the prominent poets of Vietnamese contemporary poetry. His poem Tre Vietnam (Vietnam Bamboo) is on textbook for the grade 4. The poem is among ten others to be performed at the show. The poems were composed by the poet from the 1970s to the 1990s. "Bamboo tree is a typical tree in Vietnam. I wrote Vietnam Bamboo to praise Vietnamese characteristic solidarity, hardworking, brave and beloved," Duy said. "My poets were performed by the traditional artists before when I was invited to speak at the colleges," he added. Hoai will recite the first sentences of the poem and Hoach will sing the rest of the poem in the xam style. "I love the poem. It talks about the image of our country's villages as indispensable silhouettes of trees. At the same time it expresses the beautiful qualities of the people of Vietnam," Hoai said. "Nguyen Duy is a poet for all Vietnamese. He represents all Vietnamese who pay tributes to the country and parents. He preserves successfully the sound and timbre of the Vietnamese in his literary works that enable us to perform easily with traditional art genres," she added. Another poem Nhin Tu Xa To Quoc (See Country From Distant) will be performed as a highlight of the show combining with tuong (classical opera) by People's Artist Minh Gai. Poet Nguyen Duy will narrate his stories together at the performance.